SAN FRANCISCO — Much like Hollywood and the Harvey Weinstein story, a culture of sexual harassment and misconduct being perpetrated by some of the most powerful men in Silicon Valley had long been whispered about. The technology industry's shameful open secret was publicly aired earlier this year when female founders began coming forward to share stories of male investors crossing the line, resulting in two high-profile resignations, including venture capitalists Dave McClure and Justin Caldbeck, and apologies from some other high-profile names in the industry, including Chris Sacca. With the #MeToo movement, women in the technology industry aren't done yet speaking up about some painful memories, but hope their voices can serve as a catalyst for change. More than 1.6 million #MeToo tweets have been sent in the past week from women and men in a variety of industries, and has reignited the discussion of sexual harassment and misconduct in Silicon Valley. The flood gates opened after journalist Quinn Norton published a Medium post last Thursday detailing an instance in the "early 2010s" when she said technology pundit Robert Scoble, an influencer among the Silicon Valley set, groped her at a technology conference. Norton said she was introduced to Scoble at the technology conference Foo Camp and then, "without any more warning, Scoble was on me." After Norton's post, several other women came forward to share stories of how they said Scoble was inappropriate with them over the years. Michelle Greer, a former colleague of Norton's at cloud company RackSpace, told BuzzFeed Scoble also inappropriately touched her at a conference. Sarah Kunst, founder of Proday Media, tweeted she had reported Scoble's bad behavior to organizers of the Dent Conference, yet he still continued to attend. Scoble, who has spoken in the past about his struggles with alcohol, is also being accused of harassing women even after he said he had given up drinking. On Friday, Scoble apologized in a Facebook post but did not specifically address the allegations. "I’m deeply sorry to the people I’ve caused pain to. I know I have behaved in ways that were inappropriate. I apologize for that," he wrote. "The only thing I can do to really make a difference now is to prove, through my future behavior, and my willingness to listen, learn and change, that I want to become part of the solution going forward." On Sunday, Scoble resigned from his position as partner at consulting firm Transformation Group, according to a Facebook post from business partner Shel Israel. He added that Scoble would be canceling public activities for the rest of the year and was consulting with a psychiatrist. "His decision is related to recent revelations that Robert engaged in inappropriate sexual behavior, which he has confirmed are for the most part true," Israel wrote. 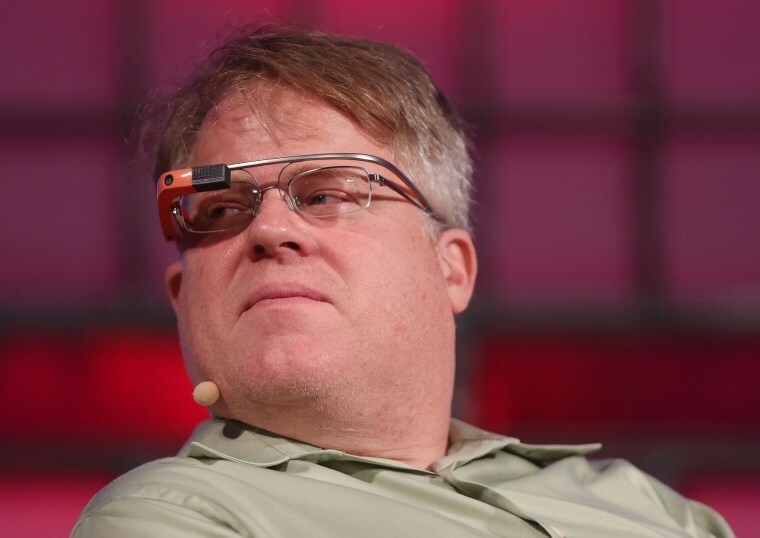 Scoble rose to prominence in the technology world while working as a tech evangelist at Microsoft in the 2000s. He later worked at RackSpace, and most recently at UploadVR, which recently settled a discrimination case out of court. While his case is just one of likely many, the question is now being asked as to what can be done to eradicate this behavior once and for all in Silicon Valley and beyond. Sexual harassment is a pervasive problem in every sector, but the numbers in the technology industry are staggering. One survey earlier this year reported that 60 percent of women in tech saying they had received unwanted sexual advances. Called "Elephant in the Valley," the survey included over 200 women with at least 10 years of experience working in technology. The majority of respondents — 91 percent — live in the San Francisco Bay Area/Silicon Valley. "If this really does blow over and Scoble goes back to life as usual, without stopping these behaviors, I really don't know what can work," Norton tweeted.